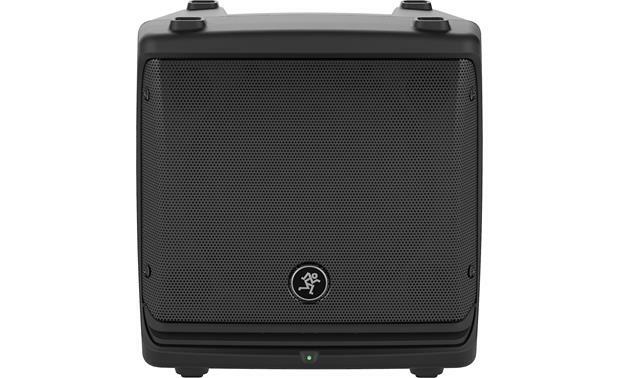 Mackie's DLM Series powered loudspeakers deliver premium-quality sound from a compact, portable package. 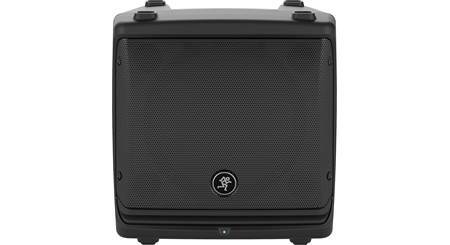 Mackie's DLM Series powered loudspeakers deliver premium-quality sound from a compact, portable package. If you want to get maximum performance from a system that takes up minimal space, these Mackie speakers should be on your shopping list. 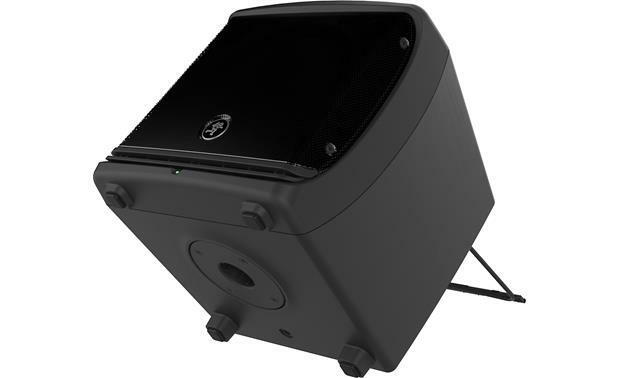 The heart of the powerful DLM8 powered speaker is Mackie's TruSource™ driver, which combines a 8" woofer and a 1.75" compression driver in one vertically-aligned, common-magnet speaker. This design eliminates the interference between the highs and lows that occurs with traditional 2-way speakers, so you hear exceptionally smooth, focused sound. An ultra-efficient Class D amp delivers up to 2,000 watts to the driver giving you some serious headroom, while the TruSource digital signal processor keeps everything clear and consistent across the entire frequency range. And you get all this in a super-compact speaker enclosure that weighs only 22 pounds. 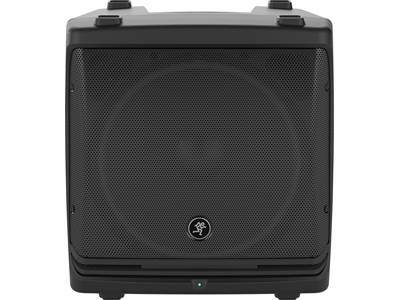 This powerful 2-way speaker also includes an integrated Mackie DL2 digital mixer, which gives you two input channels with an impressive list of audio tools. Independent channel level, a 3-band EQ and 16 great-sounding effects (including reverb, chorus and delay) give you plenty of control over your sound, while a bright OLED screen makes it easy to make adjustments in the darkest venues. And, if you visit the same venue often, you'll appreciate the instant recall feature, which allows you to call up the mix from your last appearance there with the touch of a button. 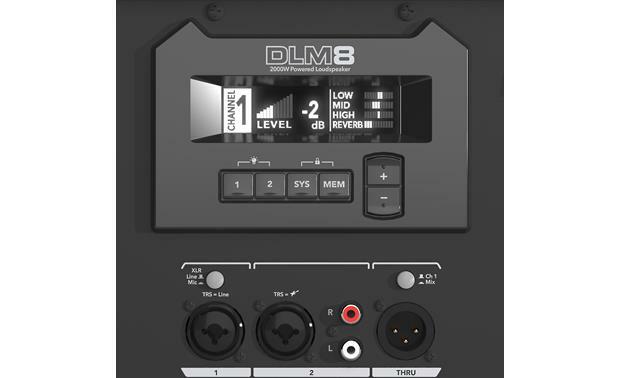 The DLM8's compact design makes it an ideal speaker for a touring solo artist or small combo. Even if you expand your system to include a Mackie DLM12 speaker and a DLM12S subwoofer or two, you'll still be able to fit the entire setup into most cars. You don't have to treat them like boxes of fine china, either. 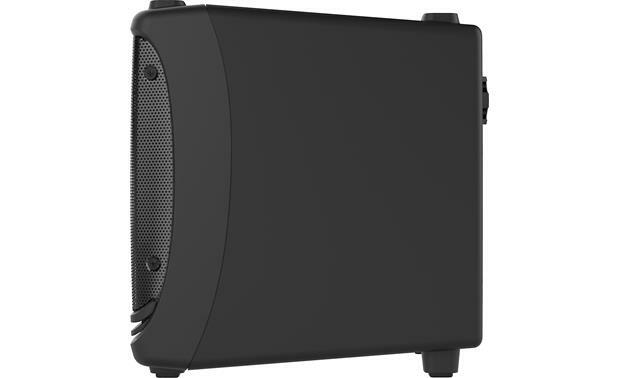 The rugged, roadworthy PC-ABS cabinet is tough enough for travel, and the ergonomic top carry handle makes loading and carrying the speaker much easier. A powder-coated, 20-gauge steel grille protects the woofer from harm, plus it just looks cool. These go-anywhere speakers can be installed, well, just about anywhere. You can pole-mount the DLM8 on a tripod or atop your DLM12S sub using the SPM300 speaker pole (sold separately). You can also wall-mount them with the SWM300 articulated arm (also sold separately) or fly them from the ceiling with standard M10 rigging hardware (ditto). If you're using your speaker as a monitor, the integrated kickstand keeps it at the perfect angle. If you're not using your speakers for anything at the moment, the stackable design makes storage easy. TruSource Technology: Featuring TruSource technology, the Mackie DLM8 is equipped with Mackie's TruSource driver that incorporates a high-output 8" woofer and 1.75" compression driver into an incredibly compact common-magnet design. 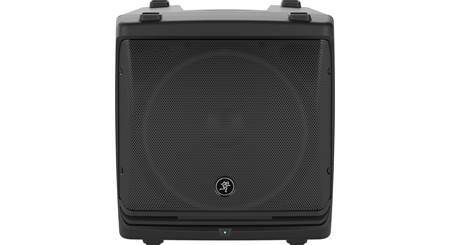 The TruSource driver is powered by a 1000W RMS/2000W Peak amplifier. TruSource DSP delivers seamless clarity, consistent dispersion, and unmatched fidelity. Mackie DL2 Integrated Digital Mixer: This versatile loudspeaker features Mackie's DL2 integrated digital mixers, providing a dual-channel mixing solution for a wide array of possible connection with incredible channel features like a 3-band EQ and 16 great-sounding effects, Plus, system processing like a multi-band feedback destroyer and six speaker modes provide the tools needed for truly professional applications. 3-Band EQ: The Low EQ provides up to 15dB of boost or cut below 80Hz. The Midrange EQ provides up to 15dB of boost or cut, centered at 2.5kHz. The High EQ provides up to 15dB of boost or cut above 12kHz. Delay: Delays the audio signal for a set period of time (0ms to 300ms). 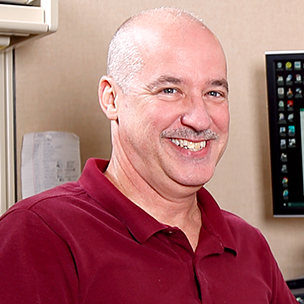 FX Send: This control sends the channel input to the built-in FX processor. There are 16 built-in FX modes to choose from; including Reverb, Chorus, Delay, etc. Feedback Destroyer: The multi-band Feedback Destroyer hunts down offending feedback frequencies and applies up to six not filters automatically to destroy feedback and maximize gain prior to feedback. OLED Display: The rear-panel OLED display indicates loudspeaker information including level, EQ, FX selected and levels, as well as other parameters. Connections: The Mackie DLM series loudspeaker offers a variety of connection methods on the back panel. RCA Input: The stereo unbalance RCA input allows you to play a CD player, iPod, or other line-level source through the powered PA speaker. 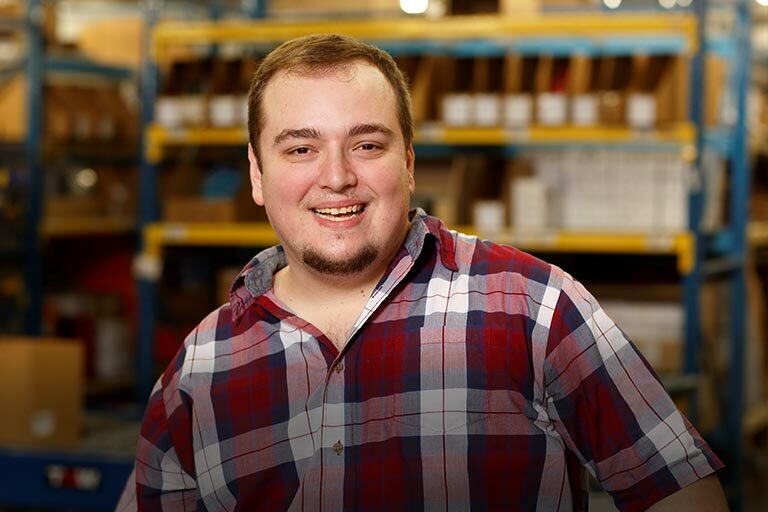 Thru Output: This male XLR-type connector produces exactly the same signal that is connected to the main input jack or a mix of channels 1 and 2. Use it daisy-chain several DLM loudspeakers together off the same signal source. 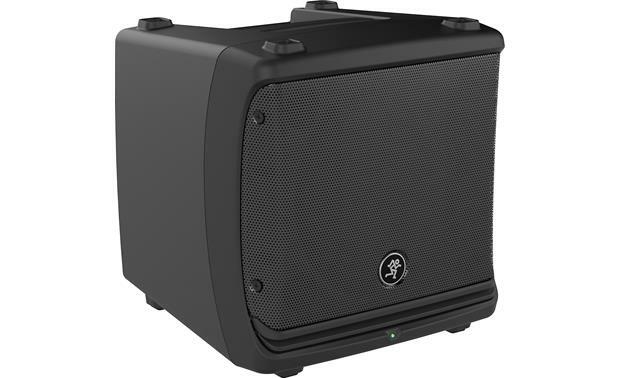 Compact Enclosure: The ultra-compact for factor includes a rugged PC-ABS cabinet, powder-coated grille and integrated kickstand for personal monitor use. 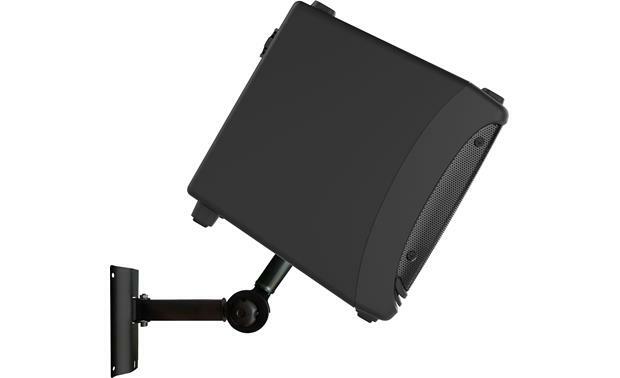 Mounting Options: The DLM series loudspeaker is designed to sit on the floor or stage as part of the main PA or as a monitor. It can also be pole-mounted via built-in socket on the bottom of the cabinet. The DLM loudspeaker can also be flown via its three integrated fly points (M10 x 17mm eyebolts). Smart Protect technology: Each driver has its own transparent compression circuit, which helps protect them from damaging transient peaks. An over-excursion filter, inserted just before the low frequency amplifier, protects the woofer from bottoming-out when the low-end is driven to the maximum. Separate thermal switches activate and shut down the high and/or low frequency amplifiers until they cool down. These safeguards ensure long life and great-sounding loudspeakers you can always count on. 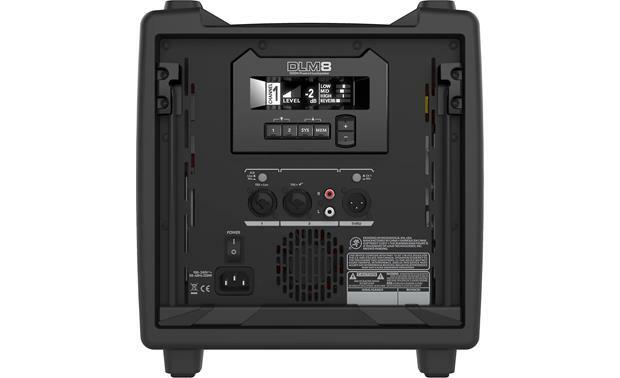 Searches related to the Mackie DLM8 8" powered PA speaker — 2,000W peak.